You are here: Home / Working with / What does a part-time Financial Controller do? 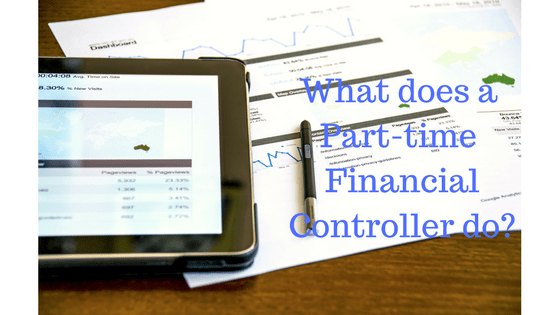 What does a part-time Financial Controller do? Thinking about a Part-time Financial Controller? Have you ever thought about using a part-time Financial Controller? 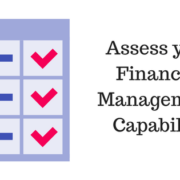 Would you benefit from having access to additional financial management skills? I was talking with a business owner recently who is running a substantial, exporting business. They don’t have any qualified accounting staff in house. Their annual accountant comes in during the year to prepare quarterly management accounts. He also attends monthly management meetings to provide financial input to business decisions. The business owner is not satisfied with this arrangement. He would like to have an internal controller but he knows that he cannot afford that option. I asked him if he had considered using the services of a part-time financial controller. He didn’t realise that was possible. The option of having a part-time controller is quite common now. The first thing a financial controller (FC) will do on starting an assignment is to understand the business and the needs of the owners/managers. Typically, the part-time FC will want to get familiar with the products or services, the customers, the production or delivery process, the inputs and the suppliers. He/she will want to be clear on the goals of the business so that he/she can provide better support. They will use their understanding of the business to identify what sort of financial analysis is needed for the business. 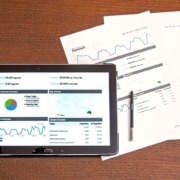 This could include how sales are analysed, how purchases and overheads are analysed and what cost centres or departments should be used if any. Next, they will look at the work flows within the department identifying who does what ,what controls are in place to secure the companies assets and if they have appropriate systems and if they are using those systems well. They will also want to ensure that the activities required to support the business and to produce the financial reports are clearly identified and allocated to staff with appropriate skills and experience. At some point, the FC will review the existing staffing of the department and form an opinion on how much support and/or development they might need. The staff will look to the FC for technical guidance. The FC will usually prepare an annual financial budget for the business. This will be based on assumptions about growth, staffing, costs and investment plans. The budget will show how profitable the plans of the business are and will highlight any problems with cashflow. Depending on the business, this budget may have to be updated 2-3 times during the year to reflect developments that are emerging as they work through the year. The budgets will feed into the monthly management accounts. By comparing actuals to budget the management will develop their understanding of the business and will become much better at budgeting. The activities that I have already talked about are all necessary if you want to have high quality management accounts. This is where most of the FC’s time will be spent. The FC will pull together draft accounts and check them to make sure they are reliable. The management accounts will show if the plans of the business are on track. By drilling down into these accounts the FC will develop his/her understanding of what is going on in the business. Most businesses need to manage their cash closely. Even when a business has large cash reserves, you find that they have built these up by managing cash closely and that they continue to do that. The FC will develop short and long-term cash forecasting and management procedures and will provide guidance for the staff in how to work with these. As the business is carried on, issues crop up that will require decisions and the FC can provide key financial inputs to those decisions. These decision may be about pricing or investment decisions. They can be about adding or discontinuing product lines. Every business has to make decisions and these decision usually benefit from a financial input. The FC will draw on his/her understanding of the business and on the reliable accounting information that is being prepared under his/her guidance. The FC will have to support management by explaining the decisions using excellent communication skills. Usually a part-time controller has already held a full-time controller position and can bring that experience to their clients. Additionally, because most part-time financial controllers have many clients they will be exposed to lots of different businesses. They can take the best ideas and practices from one sector to another. In this way, the part time FC can help the client adopt best practices from sectors that they may not normally be exposed to. What skill sets does a part-time FC need? Firstly, the FC will need to be able to develop a good understanding of the business. He/she will need excellent commercial awareness. It would be expected that a part-time FC would have good accountancy skills. He/she will have to have good relationships with the management and staff and will require to be able to communicate accounting information in a way that is easily understood by a non-accountant. The FC will likely have a number of different clients and will need to be able to manage time. They should also be able to easily switch between clients without having to spend a lot of time catching up. That depends on the business – both on its complexity and on its stage in the business life cycle. A young ambitious business with challenging growth plans will need more time than a mature stable business. It will also depend on the quality of the in-house accounts staff. The more you can delegate to them, the less time the FC will have to input. For some businesses, the time input can be as little as a half day per quarter. For others, it can be as high as 2 to 3 days per week. Typically, I find 1-2 days per month the most common. Normally, the part-time FC will sit with the client and understand the clients business and needs. They then discuss they different elements of the service and can allow the client to customise the service to suit what they need. What businesses need a part- time accountant? If you are having any of the following problems, then you should consider hiring a part-time FC. Why do you need more than one accountant? Sometimes businesses ask why they need another accountant when they already have an annual accountant. You don’t have to have more than one accountant, but sometime different people have different skillsets. You may be better off having 2 or more people with specific skills rather than one generalist. If your annual accountant can give you the financial analysis and insights that you need then that is fine. You don’t need someone else. However, if you are not getting information and explanations from your annual accountant, then you may want to get those insights from someone else. Some business owners like to have one accountant who provides part-time controller services and also does the compliance work. Other owners like to have the year end work done separately. It doesn’t matter and its pretty much a subjective decision for the business owner. The focus of a controller is usually on delivering management information. This will help management understand the financial effects of their decisions. The focus of the annual accountant is usually on compliance. By compliance we mean preparing the annual accounts and the annual return and the tax returns. Running a business can be demanding. However, there are resources available to modern owner managers that were not available prior to this. Having the services of a part-time controller available lets the business owner have access to better information and analysis skills at a fraction of the cost of a full time controller. Have you had experience of working with a part-time financial controller? Was it beneficial. Have you any comments or advice to offer to others. Feel free to leave a message in the comment sections. https://www.accountsplus.ie/wp-content/uploads/2018/03/PT-FC.png 315 560 Jim https://www.accountsplus.ie/wp-content/uploads/2016/11/AccountsPlus_logo_web1.png Jim2018-03-27 14:41:562018-06-01 09:24:22What does a part-time Financial Controller do?